This cheese has been called the ‘Holy Grail’ of cheeses. For some, it’s the best time of the year. For us, it’s a rare, true treat!! In France, Vacherin Mont d’Or is always unpasteurized. The Truffle Cheese Shop has received the thermalized version- slightly more gentle form of pasteurization- from Switzerland. 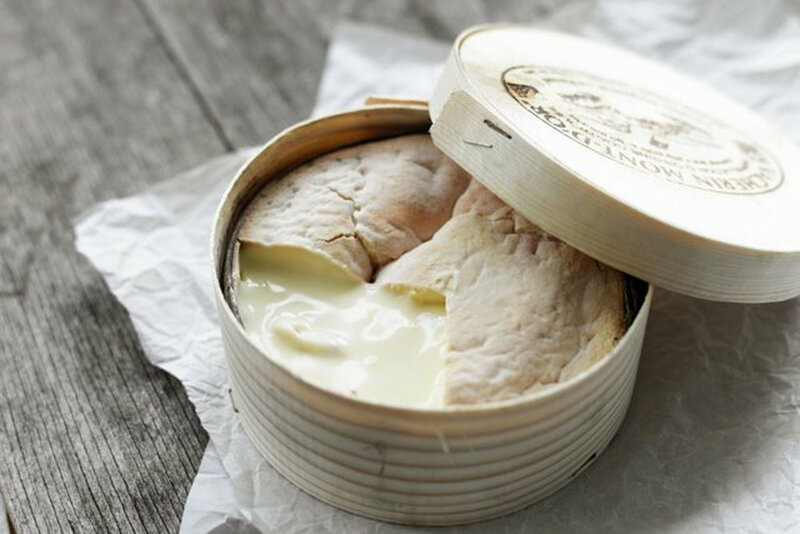 Vacherin comes from the high alps and is only sold between September 10th and May 10th. The Truffle Cheese Shop will only stock them while supplies last! This beauty is hand wrapped in Spruce bark and meant to age and be consumed in it’s box. Rub the rind with garlic, or put a few cloves into the cheese rind itself. Then pour a bit of white wine on top. Cover with foil and bake in a medium oven until super creamy. Use this as your fondue bowl! Dip crusty bread, apples, pickles or veggies. This recipe is not just for breakfast. Often, we will eat a good Chorizo scramble any time of the day or week. This is a warming hearty breakfast hash that touches all the bases. Creamy, starchy and brothy without being soupy. This is a filling dish for 2-3 people but you can stretch it by serving with some muffins or breakfast pastries. What to do: Peel and cube potato. Heat skillet, once hot, coat with the butter then add the cubed potatoes. Stir potatoes to coat in butter then add chicken stock. Bring to a boil then bring down to a simmer. Peel and dice carrot, add to skillet. Wash and cut off the green top of the leek. Halve leek then slice into half moon pieces. Add leeks to skillet. Cube chorizo add to skillet. Cook until liquid reduces by half and potatoes are soft. While the mixture is reducing, destem and shred the kale, it should look like confetti. Add kale to skillet, mix well then break apart the Leonora across the top of the mixture in the skillet. Let sit for a minute then mix. Let sit to give the cheese an opportunity melt a little then stir to well incorporate the cheese. Serve hot with fried eggs. · 1 ½ cups Arborio rice-Acquerello Rice is preferred. Cook the stock/brodo in advance, strain and have simmering while you cook the risotto. You may also use water. If you want to be a bit fancier, put in the rind from your Parmigiano Reggiano! Blanch the greens in a large pot of salted boiling water until tender. Drain, squeeze dry and rough chop them. Slowly render out the pancetta in a little piece of the butter. Add the diced onion and cook until it becomes translucent. Add the rice, increase the heat and cook a couple minutes longer. Add the wine and cook until it’s evaporated. Constantly stirring, add the hot brodo until the rice is almost tender. Add the greens and finish with the rest of the butter and the Parmigiano-Reggiano. Add more brodo or cook longer to get the consistency of a thick soup. Risotto is traditionally served before the main course in a shallow bowl. This recipe is amazing. It WORKS!! I know some of you have made polenta and remember it taking forever to cook! I know I've been burned by those blasted little hot bits of corn as it bubbles and pops in the pot. NO MORE!! Rob discovered that the best way to make polenta is in the microwave. I know....that seems like cheating. But, it works! It's cleaner, quicker and creamier than the stove top method and we don't care who knows it! This recipe is from the NY Times and we have used it since the day it was printed. Combine the polenta, salt and water in a 2 1/2- to 3-quart microwave-safe bowl, and stir together. Cover the bowl with a plate, and place in the microwave. Microwave on high for eight minutes. Remove from the microwave carefully, wearing oven mitts, as the bowl will be quite hot. Carefully remove the plate from the top, and allow the steam to escape. Stir in the butter, and mix well with a fork. Cover the bowl again with the plate and return to the microwave. Microwave on high for three minutes. Again, remove from the microwave carefully, wearing oven mitts. Carefully remove the plate from the top, and allow the steam to escape. Stir the polenta, and return to the microwave for three more minutes. Carefully remove from the microwave. Stir and serve, or pour into a lightly buttered bread pan and allow to cool, then slice and grill or sear in a lightly oiled pan. Variation:Polenta With Parmesan When you remove the polenta from the oven, stir in 1/3 cup freshly grated Parmesan. Serve at once. I like to grind a little black pepper over the top. Advance preparation: If you are serving polenta hot with a topping, it’s best to serve it when it comes out of the oven, allowing it to sit for five minutes at most. Martha Rose Shulman can be reached at martha-rose-shulman.com. While, technically, this is from Jamie Oliver's blog for Upsidedown Polish Plum Cake, I have, as usual, made some changes that worked for me with the fruit I have in the kitchen. The sour cherries are over abundant this year and it takes every ounce of self control to pick from every tree we drive past. They're just so delicious. That said, the plums and apricots from Colorado's Western Slope have been sweet and juicy so far. We can hardly wait for peaches!! This is easier than an upsidedown cake and much less messy. Pre-heat the oven to 375 F. Grease and line a rectangular baking tray (8x11) with parchment paper. Chop the fresh fruit into halves or quarters and remove and discard the stones. Set to one side. Put the beaten eggs and sugar into a bowl and whisk well, using an electric whisk if you have one until the mixture starts to thicken. Gradually pour in the oil and vanilla extract and keep whisking until the mixture is pale and creamy. Add in the vanilla, lemon zest and yogurt. Mix together well. Pour the batter carefully into the tray and gently press the fruit into the top. When sitting in a French cafe for lunch in Beaune and they place a plate full of green lettuces with a spiced cupcake full of cheese in front of you......that's something you'll never forget. Here is Julia Child's recipe for Pain d'Epices. Hers calls for using a loaf pan, but we love them as muffins. 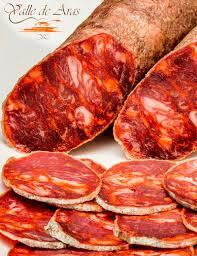 Because they are very low in fat, they will hold up for up to a week on the counter in a container. And remember what Julia always said, "Try new recipes, learn from your mistakes, be fearless and above all, have fun." In the bowl of a heavy-duty mixer with the paddle attachment, beat together the honey, sugar and water until the sugar is dissolved. Then beat in the baking soda and salt. Add half the flour and beat about a minute. Gradually add the remaining flour and continue to beat 2 minutes more on medium speed. The batter should be stiff and sticky. Reduce the speed on the mixer to slow and add the remaining ingredients. Mix until everything is well incorporated. Scrape the batter into the pan; smooth the top with a damp or spatula. Bake on the middle rack of the oven for 30 minutes. At this point, put in 1/2 ounce pieces of Epoisses into the middle of each muffin. Continue baking for 30 more minutes. The cake is done when it begins to pull away from the side of the pan and a toothpick inserted in center emerges clean. Cool the cake on a wire rack for 15 minutes. If using a springform, release the pan sides; otherwise unmold the cake and place on a rack, top-side up. Cool for about 2 hours or until completely cool, then wrap well in plastic. Julia recommends waiting at least a day or more before serving. For the best flavor and texture, age the cake for 2 weeks in the refrigerator or 1 month in the freezer. This is adapted from one of our favorite cheese-centric cookbooks: The Cheesemonger's Kitchen by Chester Hastings. We like the texture and tanginess of the fresh goat cheese better. And, of course, we are in LOVE for real with the Hazelnuts from Piedmont. Wash the celery well. Pull away the outer stalks to get to the pale, green interior stalks - save the outer stalks for soups or stocks. Separate the interior stalks, leaves intact, and slice on an angle about 1/8 inch thick. Fill a medium mixing bowl with cold water. Squeeze the half lemon into the water to acidulate it. This will prevent the apples from oxidizing. Peel, quarter and core the apples. Cut each quarter into 1/4 inch thick slices. Place the apple slices directly into the lemon water as you cut them. In a small bowl, whisk together the honey, olive oil, 1/4 cup lemon juice and shallot. Dry the apple slices on a clean kitchen towel. Place the celery and apple in a mixing bowl. Add the hazelnuts and the honey/olive oil dressing. Season with pepper and taste for salt. After you put it in your serving bowl, top with the crumbled goat cheese. The Easter and Passover holidays are the markers for Spring. Seeing fresh, local Ricotta is also another marker! We have a tasty recipe that will surely impress your brunch guests this weekend. Taken from The Sullivan Street Bakery Cookbook (our newest obsession) and modified to include fresh Ricotta from Moon Hill Dairy in Steamboat Springs, Colorado. We know this will be a keeper! Whisk the ricotta, sugar, egg, rum and vanilla together in a medium bowl until well combined. Stir in the chocolate chips and orange peel. Set aside. For the pastry: Combine the flours, baking powder and salt in a small bowl. Set aside. In a stand mixer with a paddle attachment, mix the butter, sugar, egg, egg yolk, zest and vanilla on low for 5-7 minutes, scraping often. Add the dry ingredients and gradually bring the mixer to medium speed for 1 minute. Turn the dough onto a piece of plastic wrap and pat into a 1/2 inch thick disk. Cover tightly and let rest in the refrigerator for at least 1 hour and as long as 8 hours. When ready to roll out the dough, allow it to sit unwrapped for a few minutes at room temperature, until slightly pliable. When dough is ready, dust a work surface with flour and roll the dough to about 1/4 inch thick. Gently press the dough into the bottom and sides of a 10-inch tart pan with a removable bottom. Spread the ricotta filling into the crust. Take extra trimming from the dough and place in strips on top of the topping in a criss-cross pattern. Bake the crostata for 35 minutes or until the top has puffed up and browned up nicely. Cool the crostata in the pan on a wire rack for 5 minutes. Remove from the outer ring and continue to cool on the rack. Best served slightly warm while the chocolate is gooey. I just went to the library on Saturday and I'm obsessed with a few cookbooks we got. One is The Soup and Bread Cookbook by Beatrice Ojakangas. I even bought some Rye flour so I can make the pretzels! I'm not really a soup girl, much to Rob's dismay, so I'm more interested in the bread recipes. Although, I will give a few a shot. Today I made two batches of the Carrot Breadsticks. The first batch was inhaled by the boys while they were still hot, so I made the second just for me. I did make a few modifications, which, really, all cooks should. Instead of making "sticks", I made little biscuit rounds. Also, I added way more cheese, carrots and butter. What?! Preheat the oven to 400 degrees. Line a baking sheet with parchment paper, or just lightly spray a baking sheet. In a food processor, grate the cheese(s). Add the flour, butter, cumin/caraway, baking powder and salt. Process until the dough comes together into little bits/peas. Add the carrots and pulse until well combined into the dough. Add the water, 1 tablespoon at a time, and pulse until the dough comes together into a ball. I let it go another 5-6 pulses, just to make it more flaky. Roll the dough into an 8" square about 1/2 inch thick. Using a cookie cutter, cut out the dough into whatever shape you want. I made circles, but I also have a fluted edged cutter that was nice. You can also do sticks then gently twist them. Feel free to pack them into the baking sheet. They don't spread at all, but they do rise a bit. Enjoy! These would be great with cheeses, soups or a bit of savory jam. Let me know how yours turn out! Thank you, Diane, for sharing this fantastic recipe with us. I will make it in your honor this Winter! Melt butter in a large saucepan. Add the vegetables and soften, but do not brown. Stir in the flour and cook over low heat for at least 1 minute. Remove from heat and stir in wine and stock. Return to moderate heat and bring to a boil. Reduce heat and simmer 30 minutes. Push through sieve or puree in a blender. Return to heat and add the milk and both cheeses, stirring constantly. Season to taste. Puree again if a smoother soup is desired. Reheat without boiling. Add cream when ready to serve. Homemade croutons or crostini are highly recommended to serve. According to Martha Stewart, the way to season your turkey under the skin is: "Loosen skin: Working from the neck end, slide fingers under skin until you reach the end of the breast, being careful not to tear the skin" . Thanks, Martha. We'll get right on that! Shave some of your fresh truffles and lay them out on some butter. Once the skin of your bird is loosened, use a long skewer or the end of a wooden spoon to push in your shaved truffle slices. Use that now flavored butter to rub on the skin of the bird for extra flavor. The truffle flavor will permeate the entire turkey! Bon appetite! Pastina is what your Nonna gives you when you're sick. It's creamy and buttery....I like it with shredded chicken. You can make it as thick or thin as you would like, but we usually make it fairly thick with a bit of fresh chicken stock poured over the top. Use the traditional star shaped pasta for extra points. Bring two cups of stock to boil in small saucepan. Turn off heat and stir in egg, letting it cook in the hot pasta. Temper it in slowly so you don't get scrambled eggs! Add butter, cheese and pepper. I like to top it with a bit of warmed stock, chicken or other protein. When the last thing in the garden is Kale and there's snow in the forecast, this soup makes the best dinner. While there are many recipes, we go back to the classics, like this one from Foods 52 and Lydia Bastianich. Heat olive oil in a large, heavy-bottomed soup pot or Dutch oven over medium heat. Add garlic, onion, and crushed red chili pepper flakes. Sweat the onions until translucent, about 5 minutes. Toss in the carrot and celery with a pinch of salt and sweat the vegetables 10 minutes. Meanwhile, trim the hard stem ends off the tomatoes and discard. Crush the tomatoes with your hands. Pour the tomatoes (and their juices) into the pot with the thyme, potato, and 3 cups water. Bring the soup to a simmer, turn the heat down and partially cover with the lid. Keep the soup at a low simmer for about 20 minutes. Toss in the kale with another cup of water, a pinch of salt and some freshly ground pepper. Partially cover the pot and simmer for 10 minutes. Add the canned beans and continue to simmer the soup 5 more minutes. Stir in the bread and serve with a drizzle of spicy Tuscan extra-virgin olive oil. The soup should be thickened by the bread, but not at all dry.